SEO has gone to a New Level with Google’s Penguin Update. In the Past few Years Webmasters tend to use various Black Hat Off Site SEO Techniques to Get Higher Rankings in Search. But with this New Algorithm, all those Black Hat tricks are Dead. Majority of Link Building Techniques is Outdated. Nowadays, There are Only Few Legit Ways Remaining to Build some High Quality Links. So, This Article will be Explaining Top 20 Ways to get Backlinks for your website. Before we Move on to our 20 Methods to Build Links, here are some Things you Should Avoid While Building Backlinks. Never Ever Buy Links from Others. Don’t Try to Create Links using Blog Networks. Google Will Treat that as Spam. Avoid Same Anchor Text. Alternatively Change Anchor Text to Keep Penalty Away. Avoid Creating So much Links to your website Homepage only. Distribute Links to Internal Pages. These Four things you Must Keep in Mind While Going for Backlinks. So, After this We Move towards the Main Part of this Article. We Know every Blogger Love to have a Bunch of Comments as Feedback from Visitors. So, Why Not Give them Comments. You Can Give those Bloggers Related to your Niche a lot Comments. But Remember Don’t Spam them. Always Left Sensible Comments After Reading Full Article. While Lefting Sensible Comments You Will be Building Backlinks as well as Huge Reputation for your Blog or website. 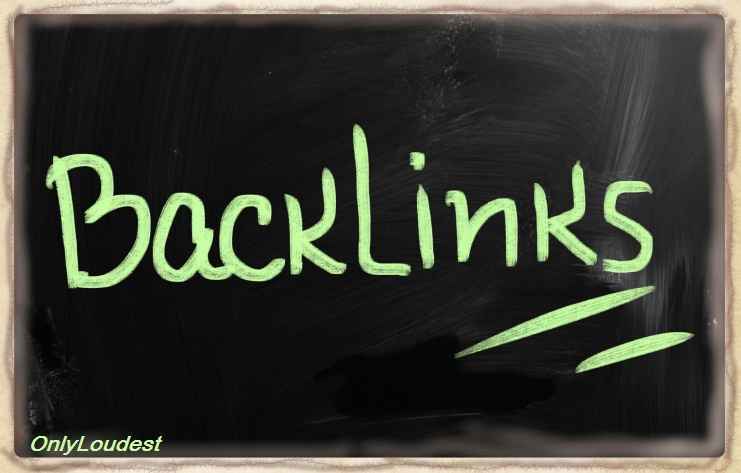 Read Special Article: – How to Build Backlinks by blog commenting? Recent Changes of Google Made Some Bloggers think that Guest Posting is Dead for SEO but in Reality it’s Not. Google Juts Changed the Meaning of Guest Posting. Matt Cutts (A Google Engineer) recently Explained that Guest Posting is still alive But Only For Quality Content Writers. All those Spam Articles Published as Guest Posts in the past will be Punished. So, Write Your Best Content (Unique, creative and Long Articles) to get Backlinks. Remember If you are Writing Top Quality Posts, then Your Dofollow Links from that Posts will also be of High Quality. Still Forums are Really Important in the Process of Link Building. You Can Create Links from Signature Section Or by Creating a New Thread and Linking to Your Post when Needed. But Remember to Stay Active at forums to Build Some Reputation and Receive Traffic. This Method Only Provide you Nofollow Links But these are still Important for SEO Because Equal Proportion of Dofollow and Nofollow Links will not make it Look Like Spam. Also, these Sites will Drive Huge Traffic to your Blog or Website. So, Ask Questions and also Answer Questions Related to Your website. We Recommend to Use Yahoo Answers because they have a Huge Traffic Base. Links from Social Sites Like Facebook, Google Plus, Digg, Twitter is considered as Backlinks. Although Only Digg Gives Dofollow Links, All others Sites have Nofollow for outbound Links. But Still, they Can Provide Most Important Traffic for your Blog and also these days Social Media has Huge Impacts on Search Ranking of Any Site. So, Consider Sharing Your Blog or Website on these Social Sites. Anyone has Good Coding Skills can Bring a lot Backlinks to their Blog. Because there is a Huge List of New Users Finding for Different Gadgets, Plugins, and Software’s to fulfill the requirements of their websites. So, You can Build these with Different Coding Languages and left a Link Below every Plugin or software with Different Anchor Text. Submitting Website to Large Directories Like Technorati and Dmoz can Bring a lot of Backlinks. It can Also Increase Search Ranking of Your website Because Google Trust these Directories. Webmasters having Good Writing Skills don’t need to worry about backlinks Because others will automatically Link to your site as a source of great information. So, Consider Focusing on Great Content that Attracts Visitors and Backlinks. Reviewing Top Companies and Websites may attract them towards your site and they may Link to that Review Article to build some more reputation for themselves. In the End they will be giving you a Dofollow Link and some traffic from High Reputated source. As we al Know Images can bring High Traffic to your Website. So, if you are using Your Own Created Unique Images, then it will not only Drive Traffic, but also Bring a lot of Backlinks. Because other Webmasters will use those images on their Blog and give you a Credit Link. You can Interview High Reputed Blog and Website Owners on Your Site and then Request them to Show that Interview Article on their Blog by Giving a Link back to your site. Videos Always go viral on the Internet if Given Appropriate Title. So, Make use of all Video Sharing Sites Like YouTube, Metacafe, DailyMotion to get nofollow Links and Drive huge Traffic. When you Offer Free Downloads of Many Tools or Softwares on Your Blog, Other Webmasters Will Link to Your Site as a Source. You can Use Yahoo Groups and Google Groups to Build some backlinks and drive traffic to your site. They have Decent Number of Active Users. If You have a Good Relationship on Internet world and has a Decent List of Friends then you can Ask them to give you some Links and in Reply you can also give them Links But Remember to Make those Links Look Natural. Submitting Your Site to Yahoo Directory and the BOTW Directory can Bring Decent Traffic to your Website and some backlinks. You can create a Content on your website, of any type and Keep an Attractive Price. That Will Bring More Visitors and More Webmasters will Link to your site to tell others about the contest and the Price. If You Offering some Free Ebooks on Your site that has some Interesting content for Users, then Other webmasters and Bloggers May Link to your site to offer their Readers that Ebook Or they can also Showcase that Ebook on their Blogs with a Credit Link to your Website. In Both Cases you will get Backlinks to your site. When You Publish Articles on a Scheduled Time then it tends to get More Backlinks Because Users Like those sites who Update their content Frequently. If you have the ability to Create Attractive Products, then you can get some backlinks from Product Selling sites Like Ebay and Amazon, which will also Give you decent traffic to your Website. Must Read:- How to Get Organic Traffic to your Blog? So, These are Some Ways to Get Backlinks for Your Website. I Hope List is Helpful. Remind Me if I Miss Any Point? 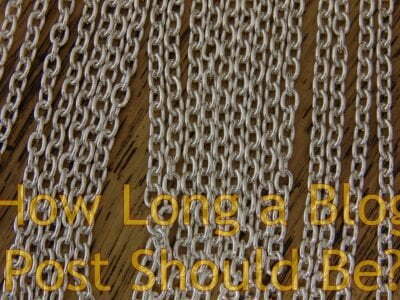 Thanks for sharing good information about link building, this is really going to help to many bloggers. From long time im searching about Backlinks and finally i got from you. We are like-minded bloggers. I also blog about these topics. Maybe you can check out my blogging tips site. i appreciate this fact Write Frequently at Scheduled Time infact ama try that out , don’t know if it would work for my blog. Yes, an awesome article will definitely help bloggers to increase their blog traffic! Q@A sites are a great source to get more traffic if you give valuable answer. For blogging success blogger must forbid spamming online. I think guest posting is some hard for newbie bloggers at first time, but if do then it’s better! However, Thanks for sharing your valuable post with us. Bookmarked! Happy Blogging. These are really good and effective ways to make backlinks. I am surely gonna use it.